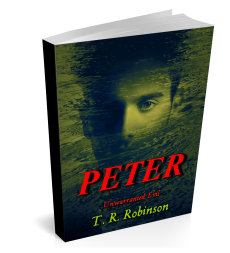 T. R. Robinson Publications – Authors: Find tips on publishing, marketing and writing. – Readers: Find interesting and entertaining books. Welcome to T.R. Robinson Publications. 4. The publication and publicising of books by T. R. Robinson. Articles and posts regarding all of the above may be found by selecting the appropriate topic in the ‘Categories’ list displayed to the right of this page or by carrying out a keyword search. Policies which govern reviews and interviews may be found here. A translation service, for those who prefer to read in an alternative language, may be located in the footnotes to this website. Un service de traduction, pour ceux qui préfèrent lire dans une autre langue, peut être situé dans les notes de bas de page de ce site. Ein Übersetzungsdienst, für diejenigen, die es vorziehen, in einer alternativen Sprache zu lesen, können sich in den Fußnoten zu dieser Website befinden. Synopsises; Retailers; Reviews; etc. are available on the ‘Books’ page.